The Globe Girls are a collective of drag performers and artists who bring their innovative and unique approach to the world of drag entertainment. These highly talented drag performers have travelled across the UK and internationally providing their own blend of sophisticated humour, fun and glamour. The Globe Girls will enliven any event without causing embarrassment. Never rude, crude or lewd, The Globe Girls take pride in their ability to raise the fun and excitement at any event without singling people out or making anyone feel uncomfortable. 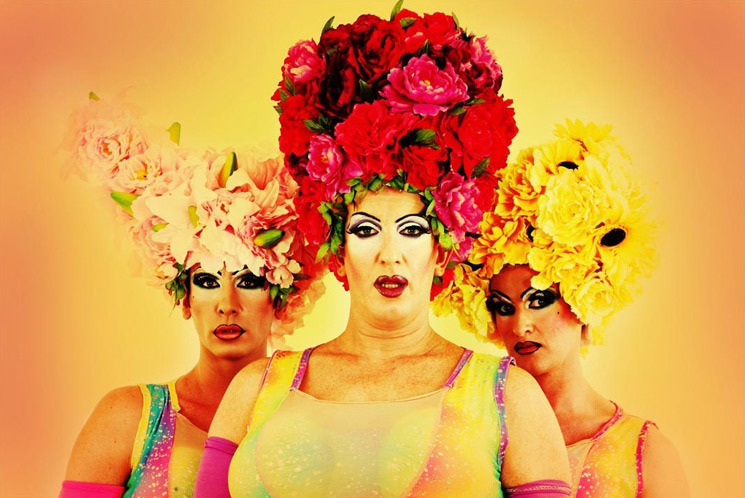 Having been featured in numerous TV series, as well A-list parties and large-scale events such as Hyde Park’s Walk the Walk, The Globe Girls are a class drag act. Every detail of their drag performance is carefully thought through, whether it’s the amazing choreography, the fabulous wigs, the handmade costumes or the killer high heels. The Globe Girls consist of professional dancers and actors who may be familiar from West End hits. As a group, they have an extensive repertoire with over 50 routines to choose from, ranging from recent Lady Gaga hits to full show girl numbers from musicals like Moulin Rouge or Priscilla, Queen of the Desert. The Globe Girls liaise closely with clients ensuring every performance is unique and suitable for any set of requirements. They can even perform your favourite song!